There are many of us who want to help animals in need, but due to various reasons, are unable to either foster them or provide a forever home for them. Luckily, there are several ways in which we can help an animal that is down on their luck or a legitimate rescue organization. Spotters or shelter liaisons check the shelters for animals that come either under a specific rescue’s umbrella, or appear to be purebred and may be able to be pulled by the breed association’s rescue groups. They develop a strong relationship with the shelter staff to help pull these animals out of the shelters and into either new homes or foster homes. Transporters help to move animals when needed. These can be either short or long distances and may coordinate with other rescue organizations. Trainers who are qualified are frequently needed to evaluate and work with behavior problems and training issues before the animals are placed. They can also advise new owners and offer guidance in integrating the animal into their new home. Application screeners help sort through the adoption applications. Volunteer coordinators organize the various volunteers within the organization. This could be training sessions, fitting volunteers into appropriate positions and making sure that questions and concerns are addressed. Foster home coordinators help to find and line up appropriate foster homes for the animals being rescued. They also stay in touch with the different foster homes to make sure that everything is going well. Fundraisers work on raising funds to help support the rescue organization. Contact people coordinate calls and emails in regards to pets in need and other issues. Home visitors meet potential adopters and visit the homes that the animals will be going to. Publicists and public relations specialists promote the organization to the public, either on a local scale or a national scale. Professional consultants are business people who offer their expertise to the organization, such as legal advice, accounting, grooming, veterinary care, etc. This can be at reduced fees or pro bono. Photographers can be used to take quality photographs of the animals in need and present them in an attractive way to help the animals find their new homes. Computer experts can offer web design, data base maintenance, blogs, internet promotions, etc. Archivists or historians can maintain records to make sure they are complete and up-to-date. Artists and crafters can contribute items to sell for fundraising by either offering a percentage to an organization or by donating finished items. They can also hold a benefit show. If you don’t have time to do these things, just by simply being aware of what groups cover your chosen breed or animal and being aware of what they are doing can help. Sometimes just passing on and sharing information can help move that information along to the right person or people/group. Facebook is an excellent way to do this, as well as Twitter and other social media. In today’s technological age, it is easier to spread the word than it was even a decade ago. For more information on volunteering or developing a rescue organization, read Sheila Webster Boneham’s book, Rescue Matters! 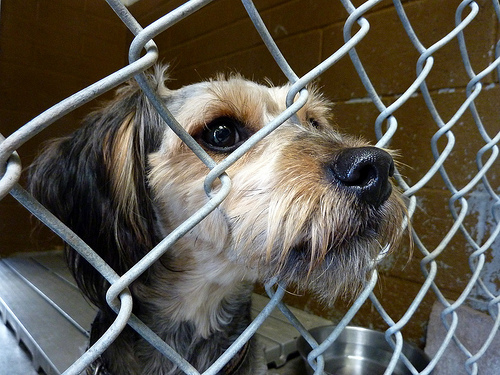 How to Find, Foster and Rehome Companion Animals – A Guide for Volunteers and Organizers. This entry was posted in Dogs, rescue dogs and tagged animal rescue volunteer, how to help with animal rescue, ideas for helping with animal rescue, working with animal rescue. Bookmark the permalink.